Unique for its size , has a modern and refined decor . It’s equipped with the most modern comfort. Possibility to arrange it with double bed and a single one or with three separated beds . Room facilities : super king size beds , safe, desk , independent heating / air conditioning, a ahower with new generation box, hair dryer, complementary toiletries , telephone, 26-inch flat -screen TV, Alarm Clock . 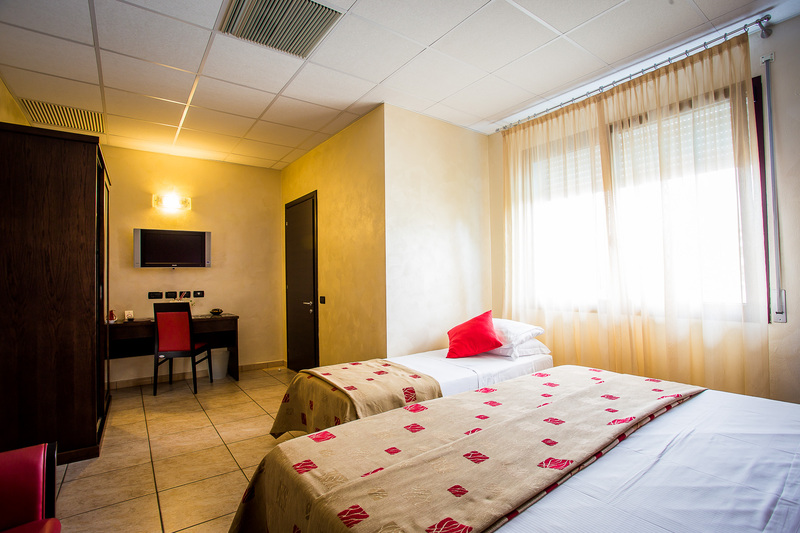 Free WiFi and ozone treatment in order to sanitize and disinfect at the arrival of the guests is available in all rooms . To ensure an optimal rest we offer the chance to choose the pillow that suits your needs.